They include promoting peace, fighting disease, providing clean water, saving mothers and children, supporting education, and growing local economies. I challenge each of you today to take up one of these causes and make it your own this Rotary year on either a local or international level. As we move into our 101st year as a club, I think that it is extremely important that we begin a new era of partnerships with our neighboring clubs, District 6450 and the international community. As a leader in District, it is our responsibility to lead the charge. In this past year, through the President-Elect training process, I have had the good fortune of meeting with my fellow Presidents-Elect. I have found them to be warm, engaging and extremely enthusiastic about the year ahead. This training has also given me firsthand knowledge of the position that we hold in the district. Our neighboring clubs want to engage with us. They want to participate in our social activities. And perhaps most importantly, they want to be partners with us on our local and global initiatives. I give John Spesia a great deal of credit in starting these partnerships with our international projects. And I thank the other Rotary clubs for their generous contributions. Now, we need to continue to build on these relationships. One of the greatest strengths of Rotary International is our ability to leverage our skills, our connections, and our resources. One needs to look no further than Global Grants to see the benefits. I am a firm believer in the need for Rotary to be a cause for good both locally and globally. There is not a day that goes by that I don't see a project or interact with a local organization that has been touched by Rotary. Every Rotarian should feel pride in the things that we have accomplished together. On the international stage, our local Joliet Rotary Club is becoming a significant force for good. We were presented with the District 6450 award for outstanding international service in May. This acknowledges the significant work that we have accomplished in both Malawi and Tanzania. I also had the great honor of attending the international convention in Sydney, Australia, just one month ago. This was a once in a lifetime experience. Not only did it energize me for the year to come, it gave me the opportunity to meet other Rotarians from all over the world. More importantly, it gave me and the Club new international connections and potential partners. It opened up a new world of opportunities for us as a club to help other global communities. As I look forward to the new year, I am excited about the possibilities. And I know that I will have the greatest club in the district and the best officers and directors standing behind me. We also have the best Assistant Governor, Jane Hopkins, and the best District Governor in all of Rotary, Nicki Scott. Because of all the great Rotarians in the room today, this year will NOT be one in which I need to do everything myself for our club to be successful. 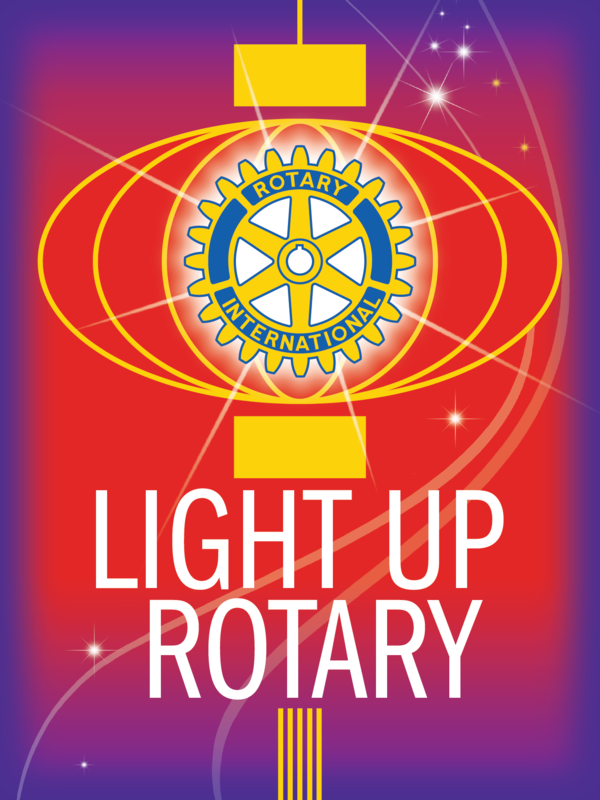 I have a great team...which brings me to this year's Rotary theme "light up rotary". Rotary International President, Gary Huang selected this theme based on an ancient proverb from the Chinese philosopher, Confucius. Confucius said that it is "better to light a candle than to curse the darkness." Gary Huang went on to add that if we each light a candle, soon we will illuminate the darkness. President Huang's challenge to each of us is simple, what can each of us do to make the world a better place? While each of our individual acts may seem inconsequential, as a whole, they can be mighty. I challenge you to find your light this year. In conclusion, my installation as the President of the Joliet Rotary Club this year is a great honor. I am joining an exclusive club of leaders in our community. I understand both the faith that you have put in me and the responsibility that I have to you, Joliet, and the global community. I welcome the challenge and want to thank all of you for the trust you have shown in me.